Cauley Woodrow scored his first goal for Barnsley as they eased past Notts County 4-0 in the FA Cup. Woodrow was making just his second start for the Reds following a lengthy lay-off injury but opened his account shortly after the interval and put his side on course for a comfortable win. Further second-half goals from Zeki Fryers, Brad Potts and Kieffer Moore made it a long afternoon for the League Two side as Daniel Stendel's men go in the hat for the next round. The Magpies' best moment came early on when they had a goal disallowed after Elliot Hewitt was adjudged to be offside after heading home. Barnsley took control after that but had to wait until the second half to do the damage. Woodrow, on his third appearance in a week, superbly opened the scoring when he lashed home Cameron McGeehan's cross. Zeki Fyers was an unlikely scorer of the second as the left-back smashed home Potts' cross five minutes later. Pott then got on the scoresheet with 13 minutes left as he tapped home from Moore, who ended the rout with a late header. 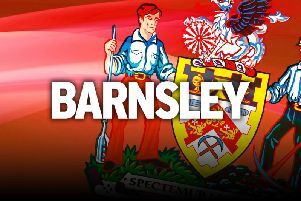 It extends Barnsley's unbeaten start at home in all competitions this season as they go into the hat for Monday's second-round draw. Barnsley: Davies, Fryers, Pinnock, Lindsay, McGeehan, Cavare (Brown 68), Moore, Potts, Woodrow (Bahre 68), Thiam, Mowatt (Hedges 77). Subs: Greatorex, Moncur, Jackson, Pinillos. Notts County: Fitzsimons, Hewitt, Alessandra, Dennis (Etete 72), Thomas (Jones 72), Boldewijn, Brisley, Ward, Milsom, Evina (Dunn 82), Turley. Subs: Pindroch, Duffy, Hawkridge, Davies.